Bernard was the author of the first tracts to uphold the innocence of Captain Dreyfus, "the first to stand up for the Jewish martyr." He was born in Nimes on 14 June 1865. Born into a Jewish family, Lazare Bernard began as a critic and symbolist poet, but he also became a militant anarchist and a staunch Zionist. In La Justice on 17 November 1894, his article "The New Ghetto" denounced an anti-Semitic state of mind spread by simplistic souls, which established "causal relationships between unrelated phenomena." He fought against "simple-mindedness of thought" in the sixty-nine articles that he published in L'Echo de Paris. He was approached by Mathieu Dreyfus, and although he felt removed from a capitalist family, he agreed to assemble elements that demonstrated Alfred Dreyfus's innocence. Above all, he wanted to denounce the special courts, the citizen-crushing State, "the infallibility of the sword, its privileges and those of the holy water sprinkler." 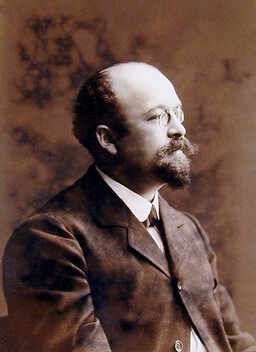 In November 1896, his pamphlet, "A Miscarriage of Justice: The Truth about the Dreyfus Affair," was mailed from Brussels to 3,500 public figures. In its sixty-four pages, Lazare protested "in the name of this justice that we have misjudged," and called for the review of the trial before all of France. His second pamphlet "A Miscarriage of Justice: The Dreyfus Affair," showed the existence of a conspiracy. When he learned of these texts, Alfred Dreyfus praised what had been written, "in a very simple style all of the facts known at the time." At a time when many Dreyfusards sang the praises of Picquart and Zola, Lazare recalled that he had been a voice in the wilderness, "that the first to rise up for the Jewish martyr was a Jew who knew to what race of pariahs he belonged." Bernard Lazare died in the summer of 1903 and on 2 September Lucie Dreyfus wrote to his widow Isabelle and hailed "his courage, his ever-present devotion, the passion with which he threw himself into the fight, the very first." In his Carnets, Alfred Dreyfus recalled the death of the one who had first publicly come to his defense: "In him I have lost an excellent friend, loyal and good. Such a lot of deaths since the Rennes trial, so many accumulated sorrows!"